A couple of weeks ago, we pointed out a deal through Best Buy for a brand new HTC One (M7) without a contract at just $199. Thought that was a good deal? What if I were to tell you that the price has dropped even further to $149? Well, it has. 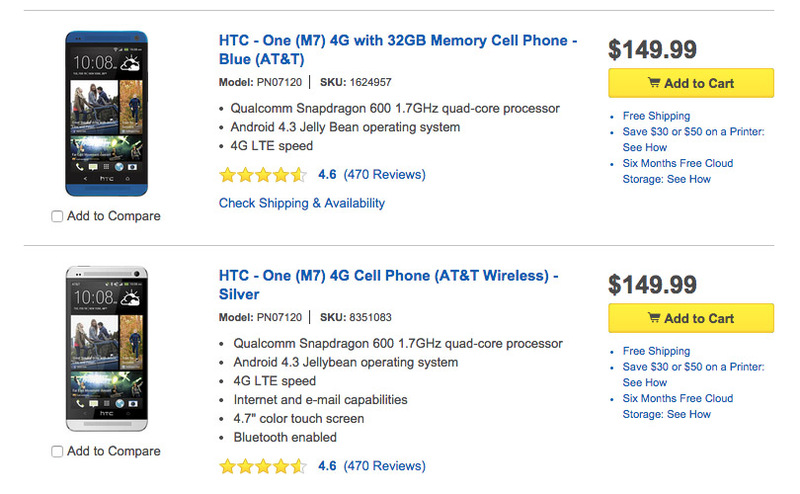 You can buy the One (M7) for $149 without a contract. The phone may be two years old at this point, but that’s still a heck of a price for a phone this good that could be used as a temporary replacement or for someone just getting into the smartphone game for the first time. The AT&T One (M7) in silver, black, and blue is $149. The blue Verizon model is as well. In order to buy one, it looks as if Best Buy is selling remaining stock that they have in stores. So if interested, you will have to check zip codes to see if any stores in your area still have them.